Posted June 16, 2017 & filed under Events in Dewey Beach DE, Things to do in Dewey Beach DE. Are you looking for something new to do this summer? If so, stop by Dewey Beach! There are a slew of fun summer activities planned throughout the area, and one of the most exciting is the crowd favorite known as Movie Mondays! The start of the week is no longer a day to dread because every Monday from June 12 to August 28, you and your family will get to enjoy a fun hit movie to start off your week. Presented by the Rehoboth Beach and Dewey Beach Chamber of Commerce, Movie Mondays is a chance for local and visiting film fans to enjoy a movie the soft sands of Dewey Beach. It’s the perfect weekday activity! These aren’t your old fashioned films either. We’re talking about modern hits like The Lego Movie, The Secret Life of Pets, Finding Dory, Zootopia and more. Best of all, these are all family friendly films with laughs and thrills for kids and parents alike. Those interested in taking in a flick should make their way to the Dagsworthy St. portion of Dewey Beach every Monday at 8:30 p.m. For your convenience, the area offers free parking, but keep in mind that it’s a less than ten-minute walk from Atlantic View Hotel, so you may just want to take a leisurely stroll. All you have to bring is your lawn chairs or blankets. 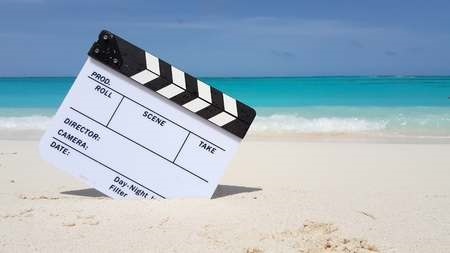 Attending Movie Mondays is only one of the many fun activities that you can enjoy at Dewey Beach, and you can pair it with a nice place to stay when you book at Atlantic View Hotel. Explore all that Dewey Beach has to offer and enjoy paddle boarding, music festivals, surfing, kayaking and more during your summer trip. Check out the website to learn more.